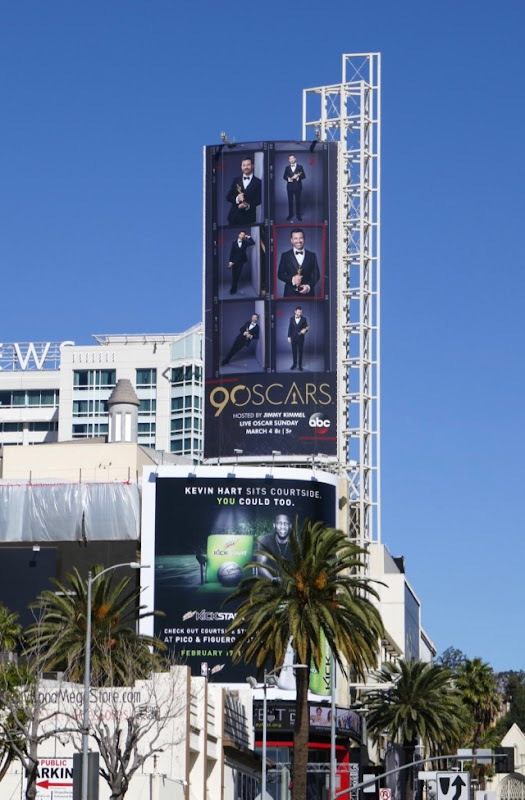 This year after a stellar season hosting his own late-night talkshow proving that big guys do cry (and have compassion for others, be it own healthcare or gun control), Jimmy Kimmel returns to host the 90th Oscars. Hopefully the master of ceremonies can inject some much needed humour on a night where many of the awards feel like they've already been won, be it Frances McDormand for Best Actress in Three Billboards Outside Ebbing, Missouri, Gary Oldman for Best Actor in Darkest Hour, Allison Janney for Best Supporting Actress in I, Tonya, or Guillermo del Toro's The Shape of Water for many other accolades. At least this year the Oscar nominees seem more diverse, including recognising first-time female directors like Greta Gerwig for Lady Bird, Jordan Peele and Daniel Kaluuya nominated for the timely surprise horror hit Get Out, Jennifer Morrison the first woman to be nominated for cinematography for Netflix's Mudbound, and a gay love story like Call Me By Your Name up for Best Picture and more honours. 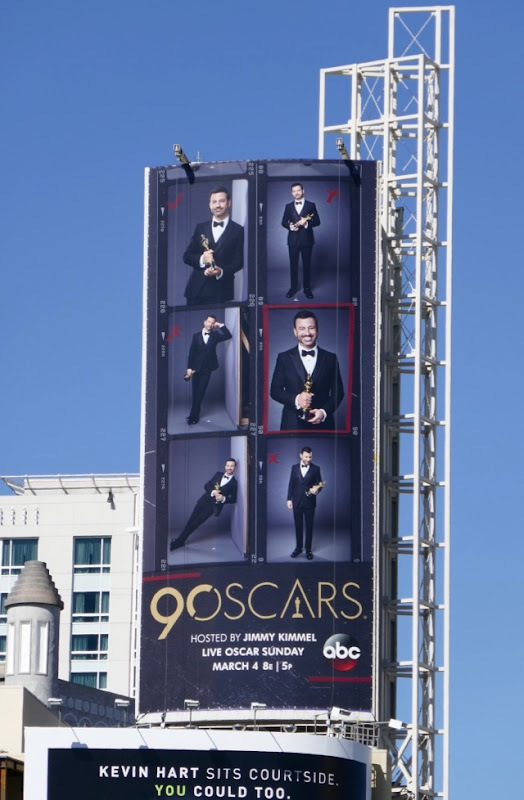 This 90th Oscars billboard featuring Jimmy Kimmel trying to get the perfect picture with the iconic gold statue was snapped above Hollywood & Highland on February 21, 2018, directly above where all the stars, writers and filmmakers will arrive on the red carpet to the Dolby Theatre. 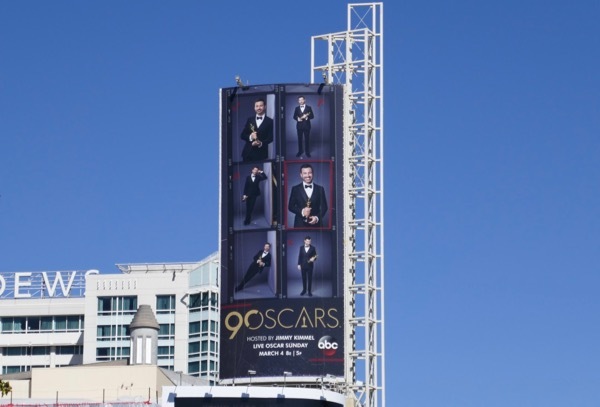 You can also check out Jimmy Kimmel's 89th Oscars billboard, plus previous Academy Awards billboards from the past ten years featuring the likes of Chris Rock, Ellen DeGeneres, Neil Patrick Harris, Steve Martin and Alec Baldwin. Let's hope this year there's no mix up over the Best Motion Picture Oscar, but on live TV anything can happen, right?